I am in the process of purchasing a TC 45. I am wanting to make the three point adjustment to a hydraulic adjustment, I plan on leaving the top link as a manual adjustment. There will be two rear hydraulic remotes added. Looking for information on what additional parts are required and where to purchase these items. Any help will be appreciated. Click up The Surplus Center web. I'm nopt sure of the correct web address, but someone will chime in to help us out. I order quite a lot of hydraulic parts from them. Find their 880 # and ask for a "Tech Rep", they've allways done right by me. Frank. I have seen them available on e-bay for about $210. A New Holland dealer in northern Michigan carried them in stock for about the same price. Intergrated Engineering has top and tilt kits available, I believe they do have just the side links also. You might also check Best-Used-Tractors. I know they have 3-point equipment. I built my own from cylinders I ordered through Surpluscenter. The fabrication of the end clevis' was a little tricky, but if your in the mood, it's a good 4 hour project. 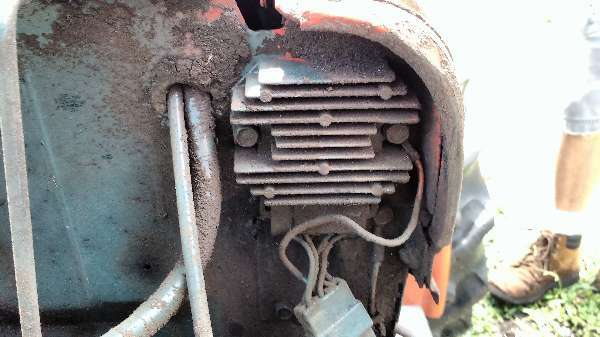 You will need to make sure the SCV for the rear remotes has load checks, or add a check valve to the cylinder. Check valves eliminate drifting of the cylinder with the SCV in the nuetral postion.